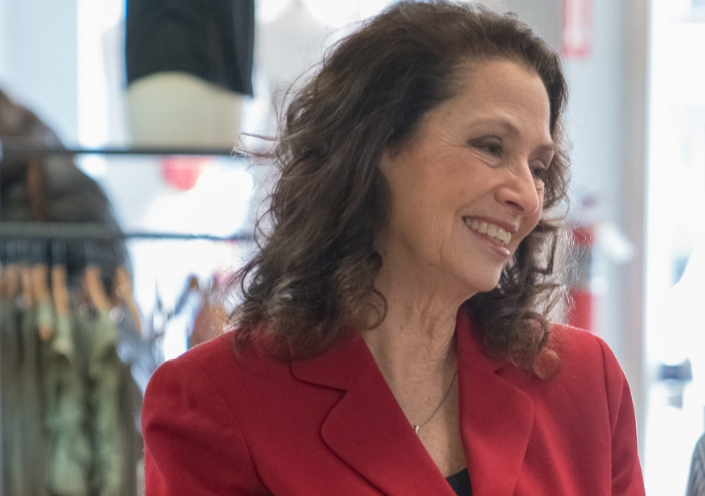 Update: The race for NH governor between Governor Chris Sununu and Democratic challenger Molly Kelly is too close to call, as Kelly’s support has increased over the past few months, according to the latest University of New Hampshire survey center. The big-dog donor campaign cash flow discrepancy between New Hampshire Republican Gov. Chris Sununu and his Democratic challenger, Molly Kelly, might actually be what feminism looks like. A review of the campaigns’ dueling financial war chests, gleaned from the latest Oct. 29 filing deadline, shows that women donating an aggregate of $1,000 or more to Kelly’s campaign outnumber those giving at least the same or more to Sununu by a clip of more than four-to-one. Approximately 44 women donated $1,000 or more to Kelly between the Oct. 16-29 reporting period, compared to 10 for Sununu. Out of those 44 donors, more than half — approximately 23 — are from Massachusetts. Big names include former Massachusetts Attorney General Martha Coakley, who gave $1,000 on Oct. 20, along with Cambridge’s Shanti Fry ($1,000) and Barbara Lee — both mentioned in an October 2014 Boston Globe report regarding top Bay State female campaign finance power-players. Lee gave Kelly $6,000, records show. Another Massachusetts woman, Dorothy Pizzella of Brookline, also donated $6,000. Meanwhile, New Hampshire’s top four female donors from the most recent report included Stephanie Baute of Surry, who gave $3,000, Walpole Democratic state Rep. Lucy Weber, who gave $2,700, Pamela Blackford of Exeter, who donated $2,500 and Hopkinton’s Elizabeth Sanders, who chipped in $2,250. The final reporting period favors Sununu, who raised more than $1.61 million compared to Kelly, who reported aggregate totals exceeding a little more than $1.24 million. Sununu’s Democratic challenger, however, is claiming a big surge polling-wise heading into Tuesday’s election. According to a WMUR report, a Democratic polling outfit dubbed Change Research, which describes itself as “fast, accurate, affordable polling,” has Sununu clinging to a slim 1-point lead, although results of an Emerson College poll, released Oct. 31, show Sununu holding an 8-point lead. While there may be discrepancies in polling, what is not in question is the influx of cash women have showered on Kelly’s campaign in comparison to Sununu’s. During the previous filing period, ending Oct. 15, the feminist political action committee EMILY’s List had delivered an aggregated Kelly $62,000, while the top individual female donor was Connie Hershey, an artist from Concord, Mass., who gave $7,000. Other notable Kelly donors during that period included former Harvard Law School Dean Martha Minow, who gave $350, and the co-owners of Patagonia Outdoor Clothing & Gear, Malinda and Yvonne Chouinard of Ventura, Calif., who gave $1,000 each. Also of note during that early-to-mid October reporting period was a $1,500 donation to Kelly via Cambridge Health Alliance Chief Financial Officer Jill Batty and a $1,000 check from Redwood City, Calif., activist and billionaire liberal philanthropist Thomas Steyer, who has made headlines for his impeachment efforts directed at President Donald Trump. In addition to Steyer, the most recent reporting deadline indicates that Kelly has received additional financial support from prominent male donors, including former New York City Mayor Michael Bloomberg ($1,000) and former Massachusetts State Treasurer Steve Grossman ($1,000). Records show that Kelly’s top male donor as of the Oct. 29 reporting deadline was Harvard Law School lecturer Philip Burling, who gave $5,000.